Now you can take your furry friends with you wherever you go! Keep them close to you during all of your adventures! 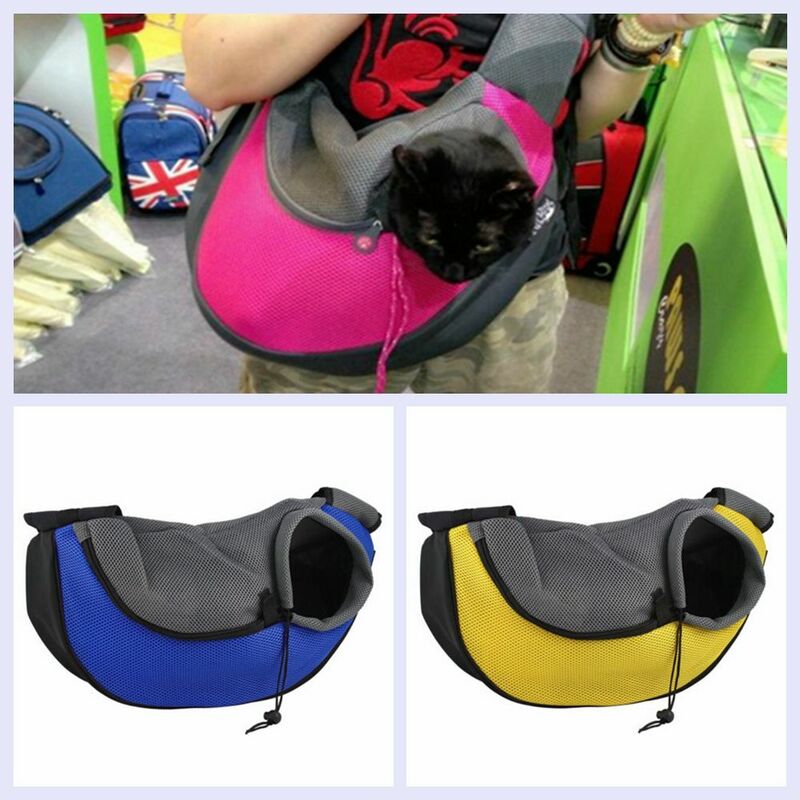 Keep your little pet travel safely and comfy with this soft sling carrier bag. Designed to keep your pet protected, secure, and comfortable, this tote sling bag is perfect for hands-free traveling or trips to the vet. The carrier bag provides wide padded mesh and leather strap with quality sturdy buckle for comfortable wear. 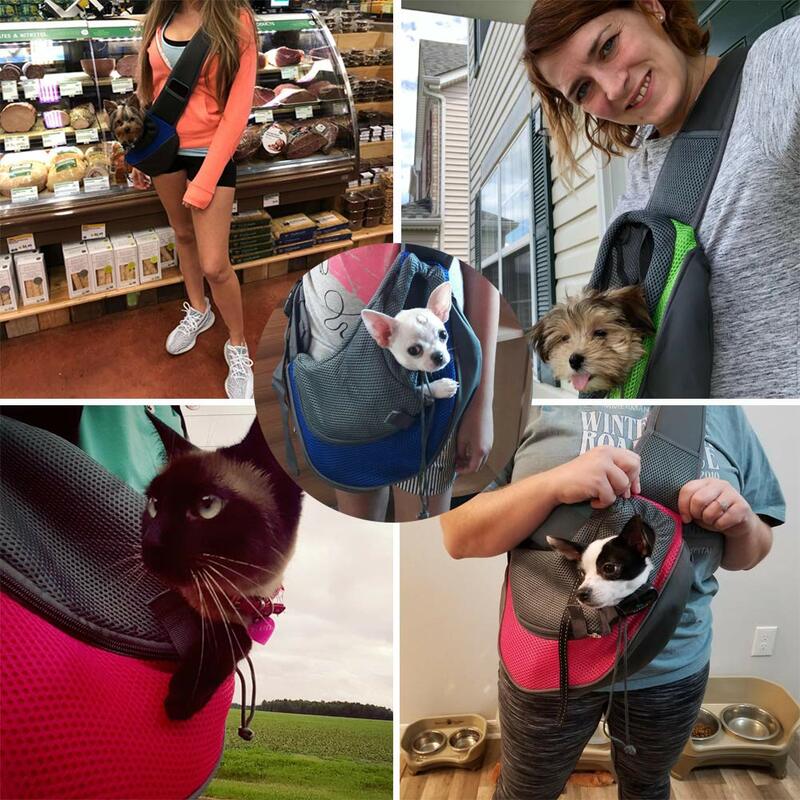 Features durable PU leather bottom and breathable mesh top, the sling bag provides a safe and cozy place for your pet to look around or even sleep. Adjustable strap measures 33-45" long. Fits small to large sized person. 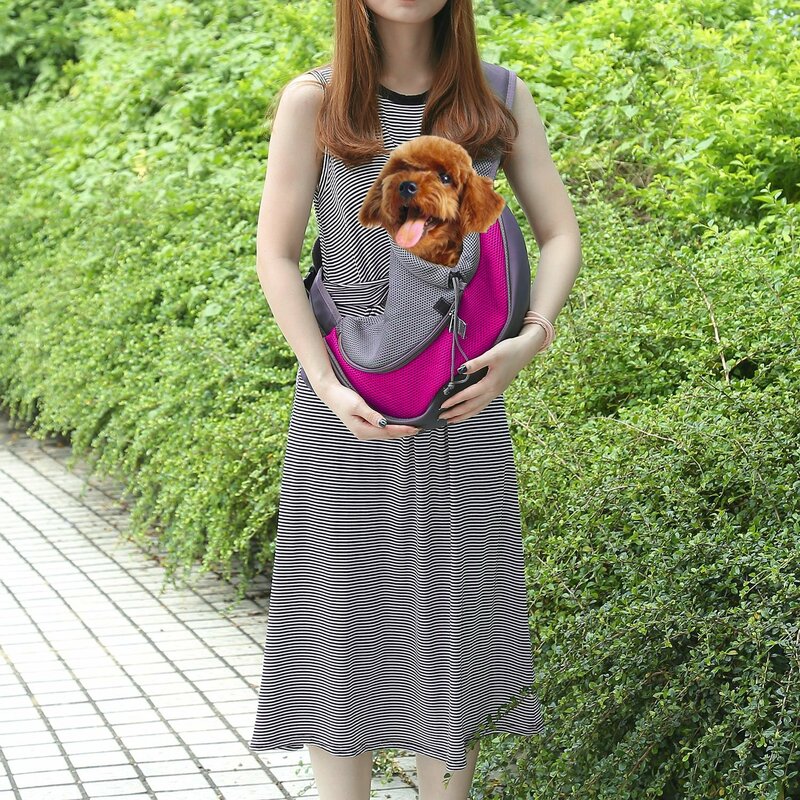 Hands-free design, compact storage, suitable for small pets, such as Cats, Miniature Pinscher, Chihuahua, Yorkshire Terrier, Pomeranian, Mini Poodle, Miniature Schnauzer, Teddy cups, etc. Material: Mesh fabric, sponge, and PVC. S size: L13.78 * H7.87 in. Bottom Width:3.35inch;M size:L17.72 * H11.02 in. Bottom width:5.12inch. Size S - suitable for small pets, dogs, cats that within approx. 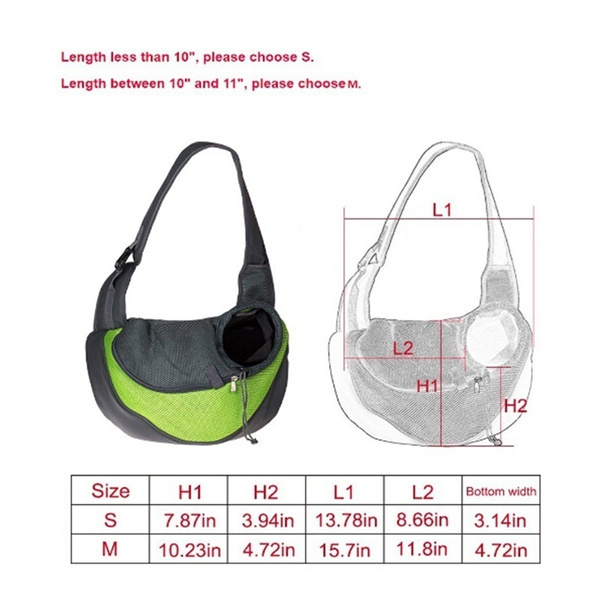 3kg(6.6lbs); Size M Suitable for Small pets, dogs, cats that within approx. 6kg(13.22 lbs). * Please make sure that whether it is suitable for your lovely pet, thank you! * Due to the different monitor and light effect, the actual color of the item might be slightly different from the color which is showed on the pictures. Thank you! * Ideal for small pets - such as Chihuahua, Yorkie, Teacup poodle, Maltese, Pomeranian, other puppies, and small dogs; little cats or Rabbit.